Analysis of various types of material samples, with a rotation and translation stage. 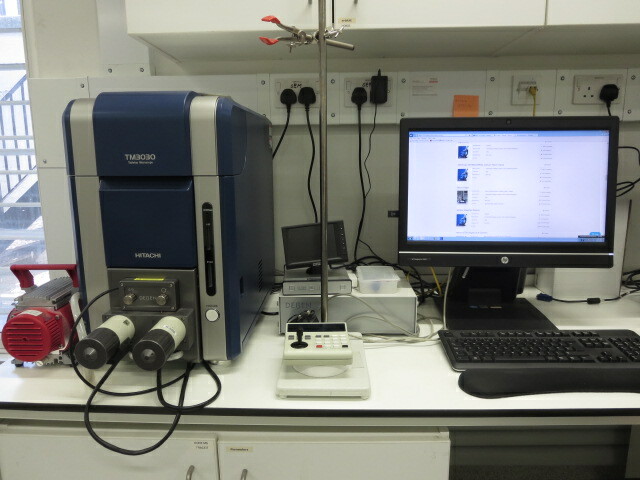 As it is a tabletop instrument, it is potentially mobile. Currently without EDS capability.